The price continues to refuse to break out of the triangle. The forecasters suspect this flatness won’t last much longer though. Which way do they think it’ll go? How did they do last week? 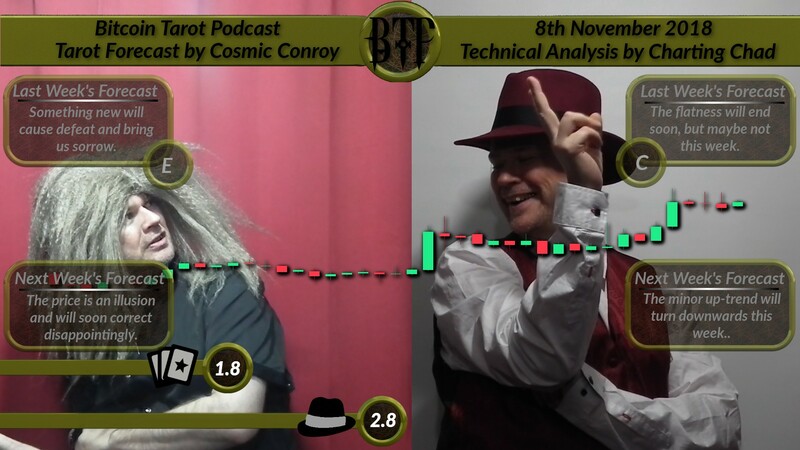 Is Technical Analysis any better than reading the tarot? [TA-Synopsis] The minor up-trend will turn downwards this week. Next post: A few days with Mycroft.